Get highly targeted and converting web visitors! is not measured by the best technology, it’s measured by the best web strategy. We send traffic to the right page at the right time, to help you dominate your competition. We have a team of expert content writers that create multiple variations of high converting ad copy for each campaign. Our advanced dynamic strategies constantly remove non-performing keywords and replace them with ones that do. For most websites, only 2% of web traffic converts on the first visit. Retargeting can help your brand reach the 98% of users who don’t convert right away. Retargeting is so effective because it focuses on people who are already familiar with your brand and works best if it’s part of an overall web strategy. The most common mistake businesses make is in deciding which web page to send traffic to. 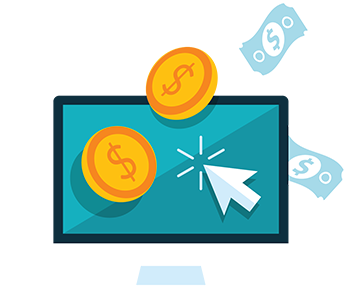 We create custom landing pages that convert sales.